This is an update to my previous collusion analysis for 6 players. I found that Caribbean Stud games actually seat 7 players, and I constructed a simple collusion strategy that yields a +1.1% player advantage. For each copy of the dealer up card a teammate holds, he places a $5 chip (red) in a designated signaling area. For each remaining Ace or King a teammate holds, he places a $1 chip (blue) in the designated signaling area. Each player now knows how many total copies of the dealer upcard the confederates hold, as well as additional Aces and Kings. Each player adjusts the basic strategy decision according to the table below (i.e., confederates know when to Raise with junk, and fold weak hands). Junk Raise if see at least 3 red chips and 4 blue chips. A K J 8 3 Fold unless 3 red chips seen. One Pair 2’s thru 6’s Fold if upcard is higher than pair, unless 2 or more red chips seen. One Pair 7’s thru K’s Fold if upcard is higher than pair, unless 1 or more red chips seen. While this collusion strategy is non-verbal, and no one will really care if you do it for $10 bets, the casino would very quickly catch on to a table full of $100 Ante players all calling with junk at the same time. Otherwise, a table full of players would make on average (7 players)($100/player)(1.1%/hand)(40 hands/hr) = $308/hr. And of course the variance would swamp the average for any reasonable time frame (i.e., shorter than months). Let’s say your hand is a pair of Kings. The dealer upcard is an Ace. Your confederates do not hold any Aces (i.e., they place no red chips in their signaling areas). You should fold the hand. Say you have junk. The dealer upcard is a Trey. Your confederates indicate they have all the Treys in their hands (they place 3 red chips in the signaling areas). The confederates also place 5 blue chips, signaling they have 5 Aces/Kings between them. Everyone should call (2x) no matter what they hold. The dealer upcard is a King. The confederates place 3 red chips, indicating they have all the King “outs”. They also place 4 blue chips, indicating they have all 4 Aces between them. Everyone should call, no matter what they have, since there are at least 3 red chips and 4 blue chips seen. You have a pair of Treys. The dealer upcard is a Ten. The confederates place 2 red chips, indicating they have 2 Tens between them. You should call your hand. Junk hands should fold. I’ve always wondered how easy and effective collusion at Caribbean Stud would be. People have looked into the theoretical gains of collusion, and conclude its possible to reduce the house edge to 0.4%, using a computer to analyze all 30 confederate cards and the dealer upcard. I developed a practical collusion strategy for Caribbean Stud, which reduces the house edge from a practical 5.32% down to 1.32% with 6 players. That’s a significant savings, since often players are grinding away, trying to hit a large progressive, or a high hand bonus overlay. On a $5 bet, a normal strategy costs ($5)(.0532) = $0.266/hand. That’s pretty expensive, close to $11/hr @ 40 hand/hr. Using the simple collusion strategy detailed below, you’d cut your costs by 75%, down to ($5)(.0132) = $0.066/hand, or $2.64/hr. That’s a big deal, especially if you play a lot, or for long sessions. Normally, Caribbean Stud is an expensive game, long-term. To collude, you’ll need a cooperative table of 6 players (you and 5 others). You don’t need much info, and the strategy implementation is extremely simple. The key is calling a nominal folding hand, when you have enough info to justify a call, in hopes the dealer doesn’t qualify. Also, there are times when you should fold a normal calling hand, because it’s likely that the dealer holds a better hand. Junk Raise if see at least 3 red chips and 3 blue chips. A K J 8 3 Fold if one or less red chips seen. One Pair 2’s or 3’s Fold if one or less red chips seen, AND upcard is higher than pair. One Pair 4’s thru 8’s Fold if no red chips seen, AND upcard is higher than pair. Pair 9’s or higher No change. The following table shows the simulated average value of raising with a junk hand, given the 6 confederates have all 3 copies of the the dealer upcard (not A/K), broken down by the number of Aces and Kings the confederates hold. For example, say the dealer upcard was a 9c, and the players have all the remaining nines (9d, 9h, 9s). Then, the table below says not to raise junk unless the confederates (i.e., 30 cards seen) hold any combination of at least 3 Aces and/or Kings. So if the confederates hold 2 Aces and 2 Kings, the value of raising a junk hand is -0.66649. This is much better than folding (value -1). Or, if the confederates hold 0 Aces and 4 Kings, the value of a junk hand is -0.67487. On the other hand, if the confederates hold only 1 Ace and 1 King, then it’s better to fold the junk hand (-1) than raise it (-1.05500). 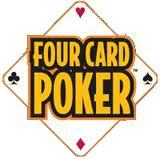 The frequency of 6 confederates (30 cards) holding all 3 the dealer upcard outs is a high 19.5% = C(48,27)/C(51,30). That means in one out of five hands, a few confederates will probably be helped. Remember, that raising a junk hand with a value of -0.70 is better than folding (-1), and for a $5 Ante, that’s a $1.50 savings. Any time you can play a slow carnival game for around 2% of the Ante, you’re doing well. 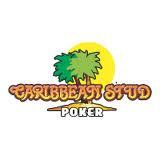 Caribbean Stud is a fun, relaxing game, but it’s normally expensive. Reducing its house edge from 5.5% to 1.3% makes it a lot more enjoyable.